By 1903 they had moved to The Cross Stores in Llanymynech – Edward Raymond Morgan was born there in 1903 as were his brother and sister. Edward Morgan and his wife Charlotte lived at 45 Salop Road until his death in 1942. Edward was one of 8 children of Richard Morgan (b. Plas y Court) & Sarah (Manford . b. Llywn). They were farmers whose final farm was Trederwen Hall. The farm is still in the family – descendants of Edward’s youngest brother Thomas Henry. 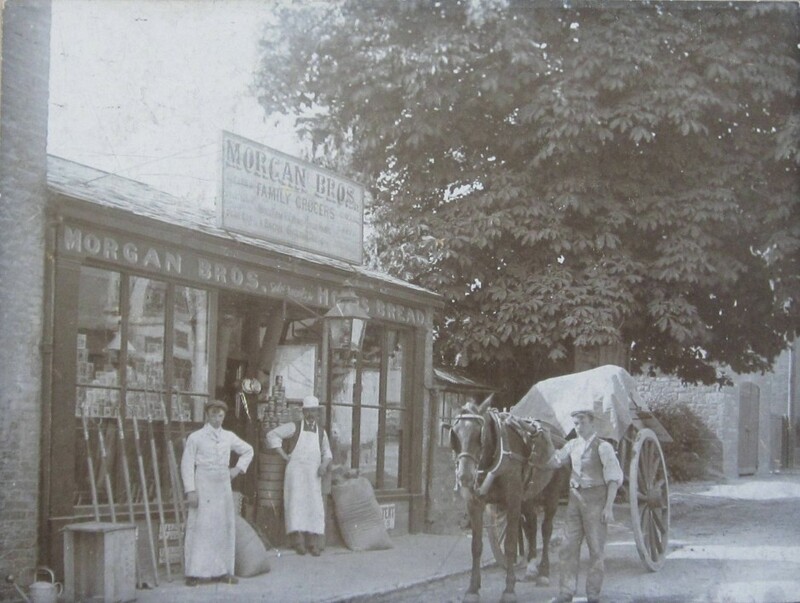 Kelly’s Directory has Edward Morgan running a grocery business at the Cross Stores in Llanymynech until 1910.